Striving to get past a bruising period for one of its most important brands, NBC News has picked a new leader for the "Today" show: a former senior producer of the show, Noah Oppenheim. He is succeeding Jamie Horowitz, a longtime ESPN producer who was put in charge of "Today" in September, but very publicly fired two months later. Following leaks from media outlets, NBC confirmed on Friday that Oppenheim will become the senior vice president in charge of "Today" on television and online. Oppenheim will exercise day-to-day editorial control of the show in addition to his executive-level oversight, according to people with knowledge of the plan. "His mission will be to guide the editorial content, drive growth and integration, and identify strategic opportunities," NBC News president Deborah Turness said in an internal memo. But Don Nash will remain the executive producer, reporting to Oppenheim. Oppenheim did not respond to a request for comment, but a person close to him said he viewed it as a once-in-a-career opportunity. 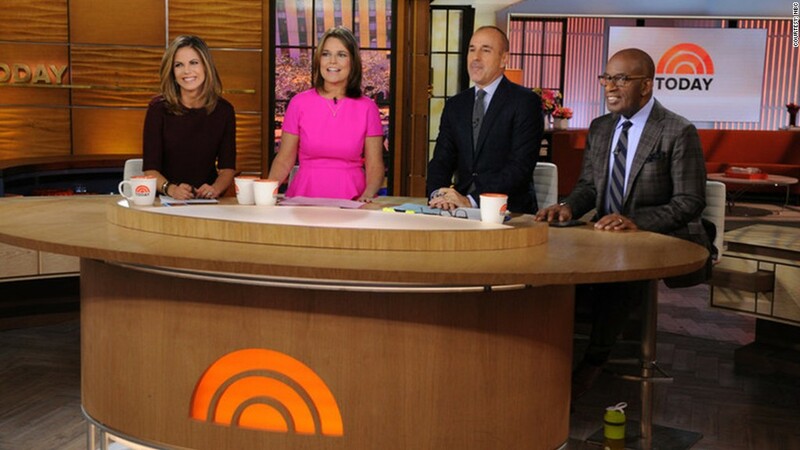 The famed morning show makes hundreds of millions of dollars for NBC, but has fallen on hard times. The show has been unable to recover from mostly self-inflicted wounds, like the 2011 promotion of Ann Curry to the co-host chair and then the 2012 removal of Curry from that same chair. "Today" has been stuck in second place behind ABC's "Good Morning America" ever since Curry was demoted. Earlier this week, NBC and Curry announced that she is leaving the network to form her own production company. What's next? With Horowitz -- an outsider -- in charge of the morning show, there were rampant rumors about his plans for shakeups to the cast. Objections from Matt Lauer and the other co-hosts played a role in Horowitz's abrupt exit from NBC. The embarrassing episode raised fresh doubts about NBC's ability to turn around "Today." But unlike Horowitz, Oppenheim has worked at "Today" before. He was a senior producer, overseeing the 7 a.m. hour, between 2005 and 2008. After that, he moved to Los Angeles, developed unscripted TV shows for a production company, and wrote screenplays. The message sent by Oppenheim's hiring is "after Horowitz, no more surprises," one longtime "Today" staffer said. The staffer described Oppenheim as "a known quantity." The person close to Oppenheim said he believes "changes are needed at 'Today,'" but that much could be accomplished with its existing cast and crew. Wielding a "wrecking ball," as Horowitz was perceived to have done, "is rarely if ever effective," the person added. Oppenheim's start date at NBC is not known -- he still has a movie script to finish. He was reportedly hired last summer to write "The Divergent Series: Allegiant -- Part 1."